Quality parts you can trust. Are you in need of new parts for your Mercedes-Benz? 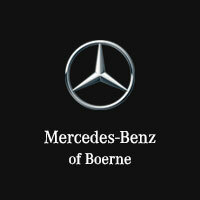 Mercedes-Benz of Boerne, serving West Boerne, Fair Oaks Ranch, New Braunfels and San Antonio, has everything you need! If you’re looking for customization options for your new Mercedes-Benz E-Class, G-Class, C-Class, GL-Class or Sprinter, or simply need a replacement, Mercedes-Benz of Boerne is fully stocked with the parts you’ll need. Our expert staff of Mercedes-Benz technicians is here to help you out in any way they can, whether it’s professional opinions, or hands-on. Mercedes-Benz of Boerne is proud to offer several different Mercedes-Benz part specials throughout the year in addition to a great selection of authentic Mercedes-Benz parts and a go-to resource for advice on your project. To get started with your Mercedes-Benz parts order, fill out our online parts request form below, and we’ll get in touch with you as soon as possible. If you’d like to speak with someone directly, give us a call at (888) 717-3255 or stop in during regular business hours at 31445 IH 10 West Boerne, Texas, where you can speak with our staff one-on-one. We look forward to your visit.